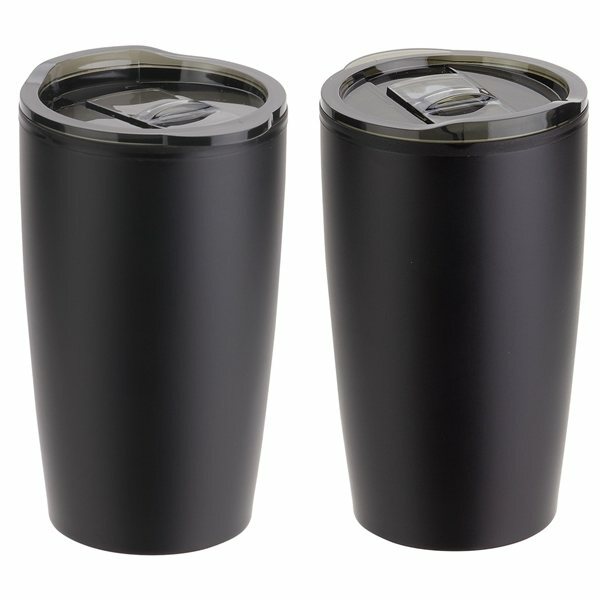 Stainless Steel Outer with Black Polypropylene inner lining. 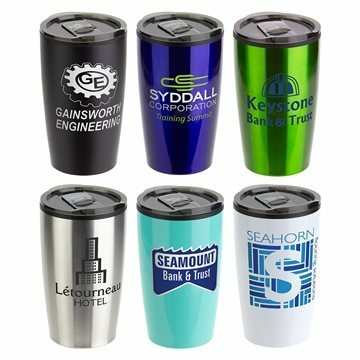 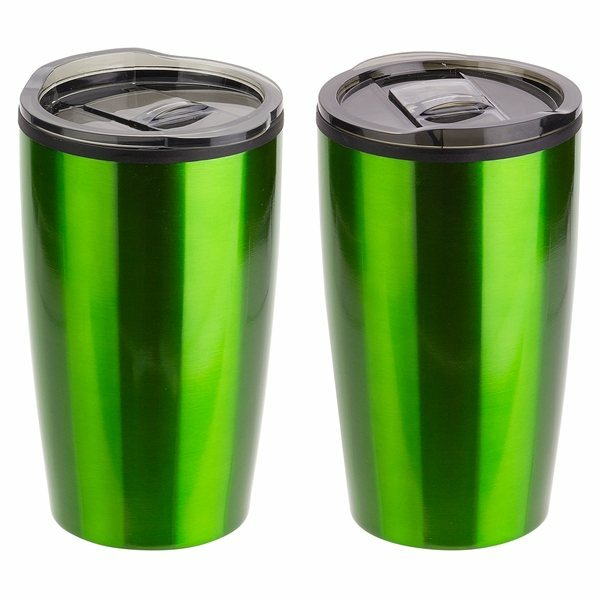 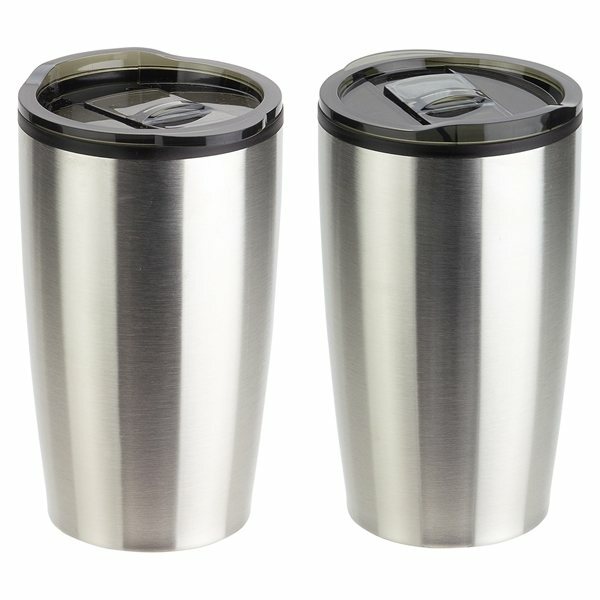 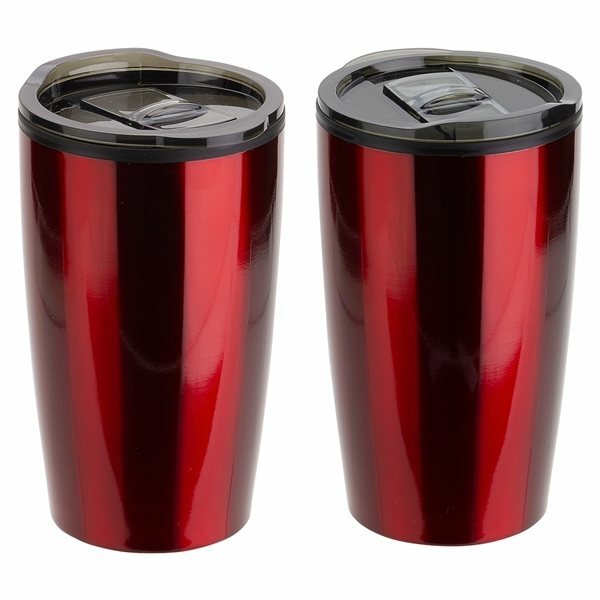 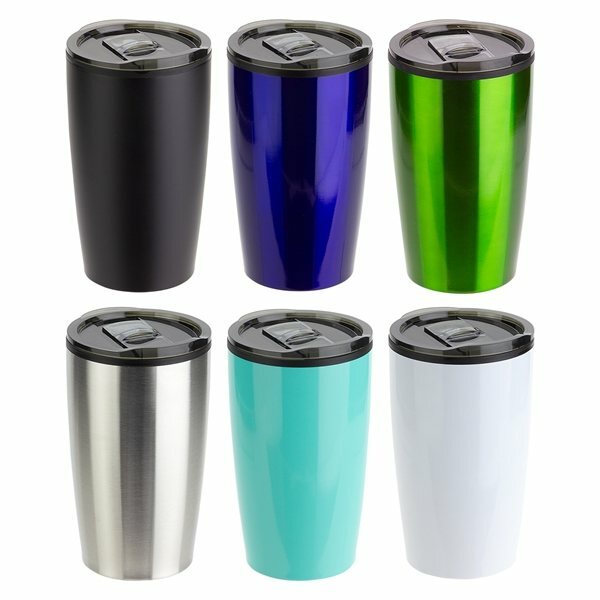 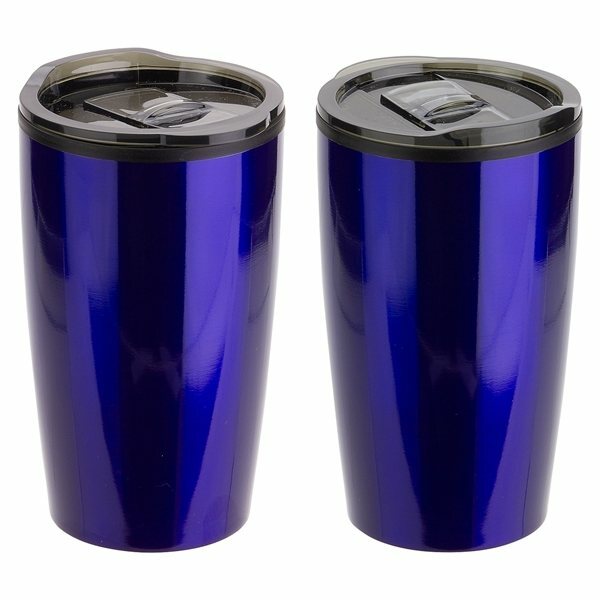 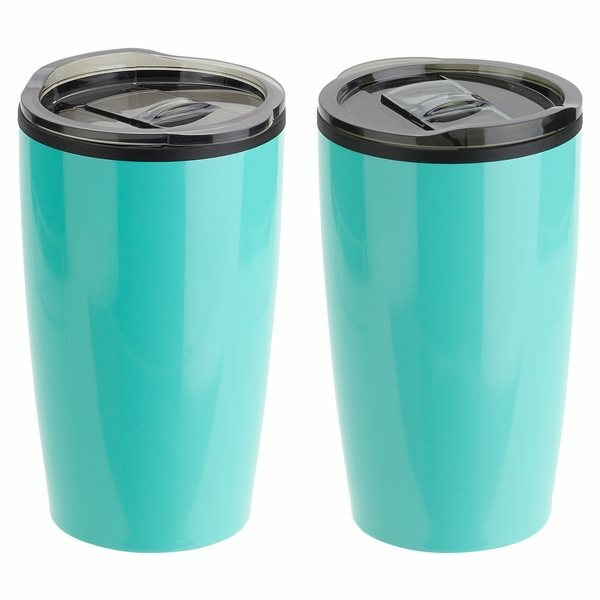 Keeps beverages hot or cold for 2-3 hours. 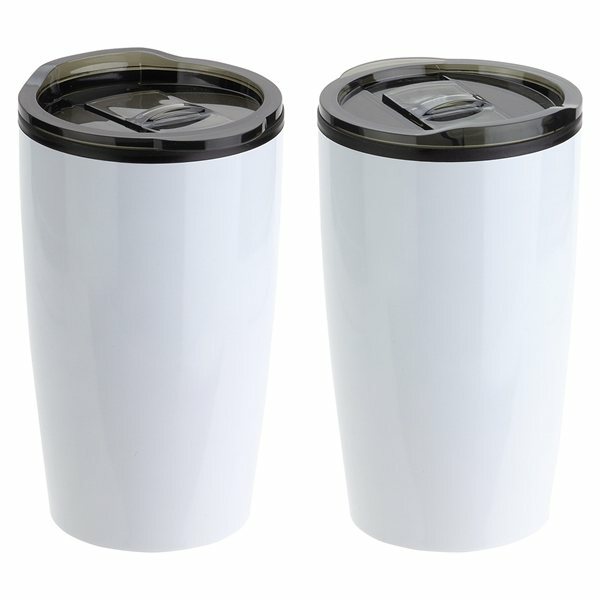 Clear plastic push-on lid with sliding drink opening. 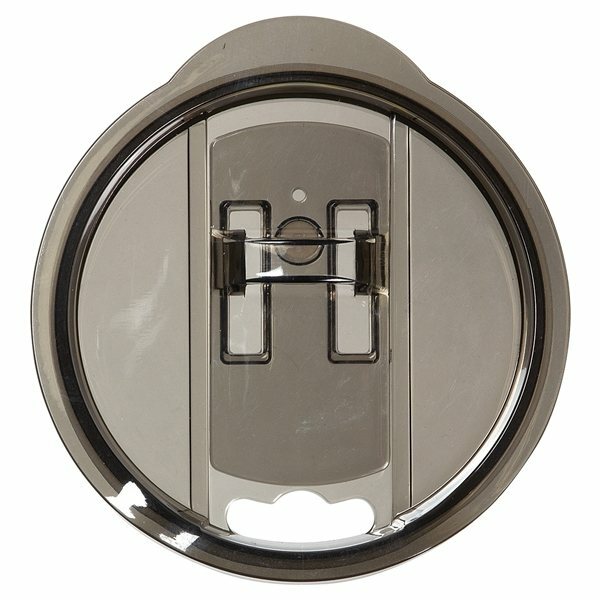 Non-slip base pad on bottom.